How fax to email archiving works. Cast your mind back to the days before paperless offices. There were locking filing cabinets, paper shredders, and a great deal of folders marked ‘Confidential’. But these days we have no such worries. There are no more locked filing cabinets and we no longer have to stand guard as our colleagues pass by our important documentation on the way to the stationary room. Technology has given us easier access to information and the ability to safely archive that information. Archiving with Fax FX is simpler, secure, and provides you and your business with much needed peace of mind. Fax FX fax archiving is able to archive your fax correspondence as easily as your emails are archived. Accurate archiving of faxes in the past required the initial printing and secure physical filing. Even then, proof of faxed correspondence was not always a given as some copies might slip through the proverbial cracks. Fax FX, on the other hand, is able to instantly archive all faxed correspondence, according to subject and date, on a secure server. This allows for easy retrieval of archived correspondence, as well as the peace of mind that comes with knowing this storage is secure. This is not only convenient for business, but also allows for easy legal compliance. According to the SARS regulations pertaining to document storage, each and every business is obligated to retain all correspondence for a minimum of 5 years. With Fax FX, this legal obligation is handled – with absolutely no extra cost to you. This way you never have to worry about physical damage, or document theft, affecting your archives as your correspondence is safely stored on an off-site server. Should you need to retrieve a fax send within the past 90 days, you have access to it via instant download. 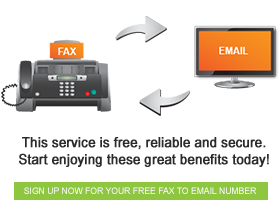 However, if you need a fax from further back, simply contact the Fax FX team and they will send it to you. To make this process even easier, give each fax you send a subject which will help you find it when you need to. No more rooting through dusty cabinets – what a pleasure! ⇐ Sending a fax has never been easier!